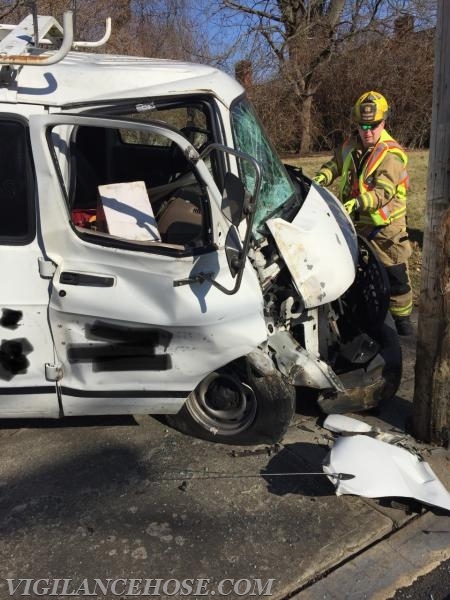 At approximately 13:15 hours January 26, station 50 was dispatched to a Motor vehicle accident with injuries. 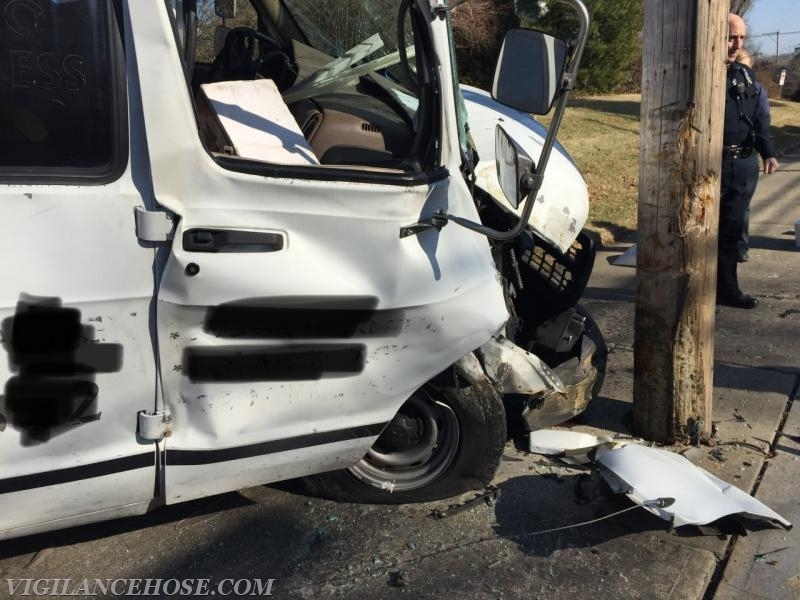 Upon arrival crews observed a van into a utility pole with moderate front end damage. 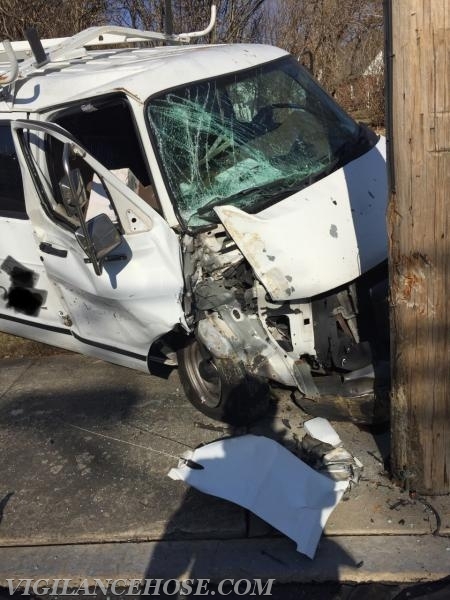 The driver was self extricated. Station 50 assisted with fire watch and debris clean up. 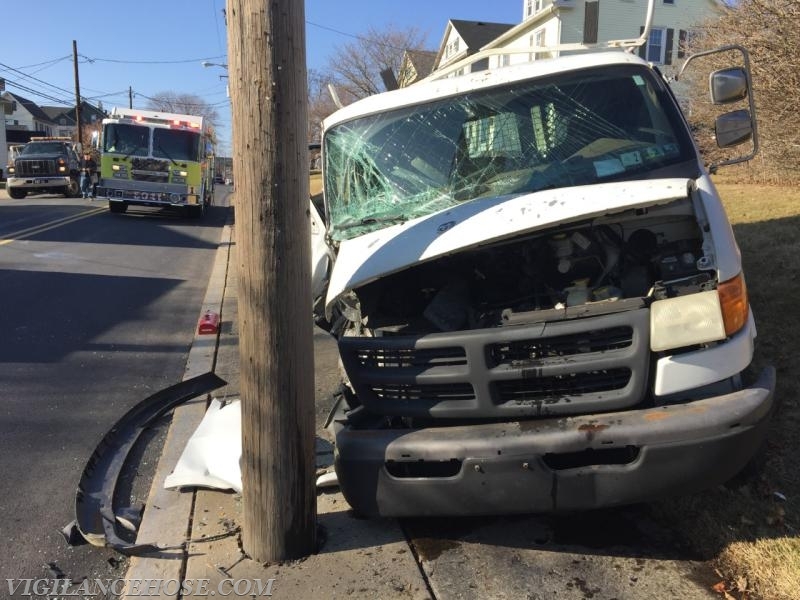 The driver of the van was transported to the hospital with what appeared to be minor injuries. Units: 5041, 5087, Nazareth Police.